While wood houses can last centuries (with a decent roof), wood porches are rarely so lucky. Porches are highly vulnerable to the elements, and in an age before pressure-treated lumber became the norm, wood porches rotted. 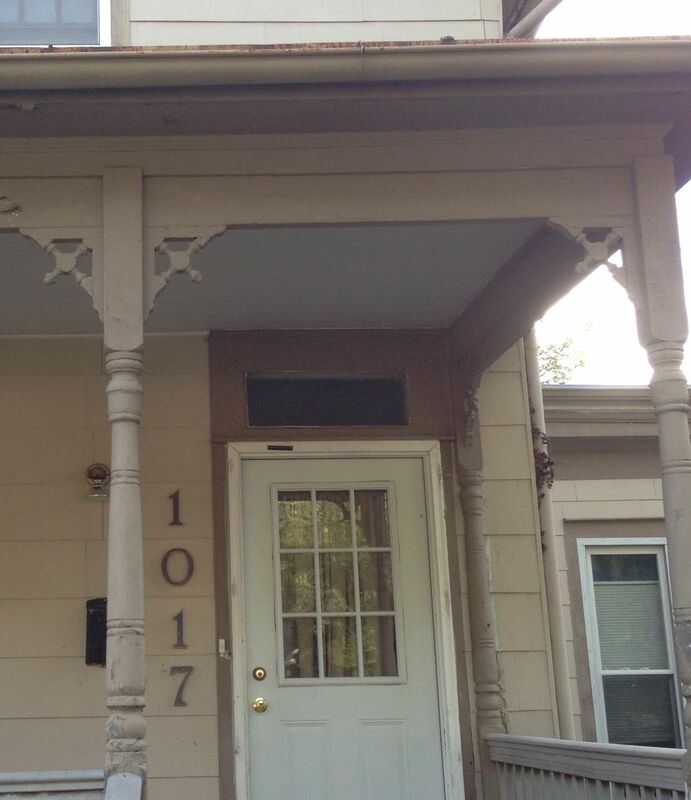 It was not uncommon for an 1895 wood porch to be totally punky by 1915. Porches are also highly vulnerable to fashion. This seems odd, right? But people are as prone to architectural fashion as they are to sartorial fashion as they are to automotive fashion. In short, people hate being unfashionable (in high school, I remember being embarrassed because my parent’s car was six years old. In junior high, I was MORTIFIED when my mother would not buy me bell-bottom jeans. “Mom! All the other kids are wearing bell-bottoms!”). 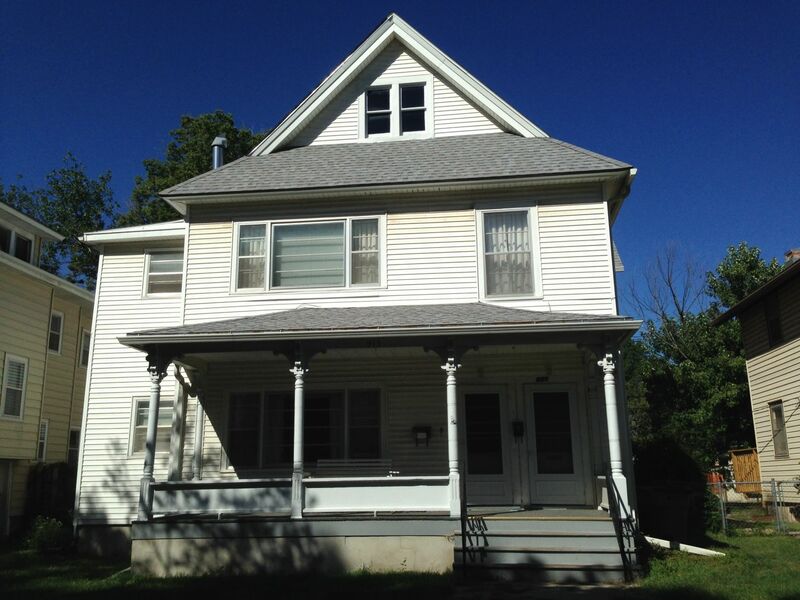 A quick way (relatively speaking) to update a house is to replace its porch. If the porch is already a rotting mess, all the more reason. As such, legions of Victorian-era porches were torn off and replaced circa-1915 with Mission-style porches or 1950s Mid-Century Modern porches or 1970s “New Orleans-style” porches and so on. About twenty years ago the dreaded Home Depot-style porch made its appearance. Sigh. As I drive around Emporia I am always on the alert for porches original to what they are attached to. 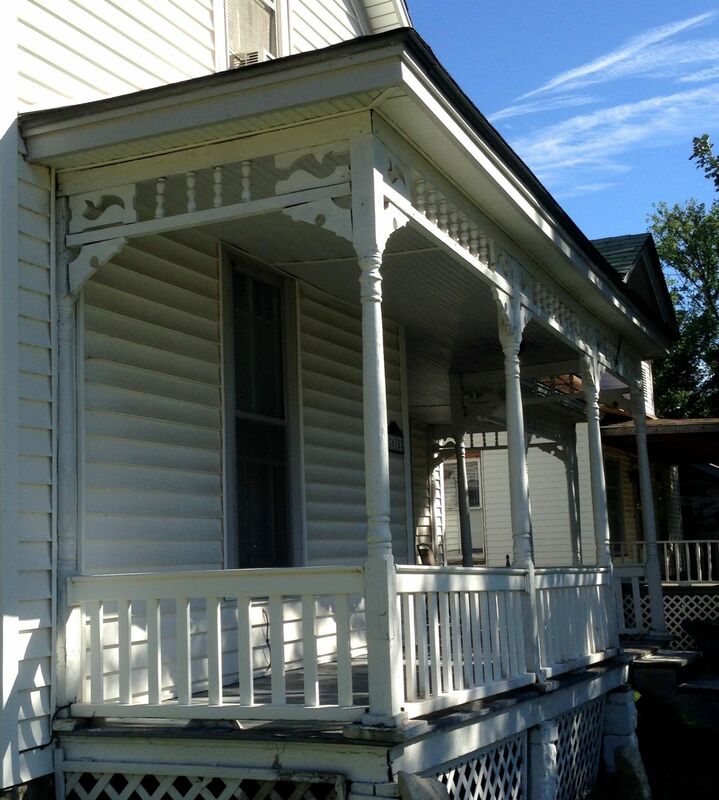 Intact porches are not only a pleasure to view, they are invaluable as templates. 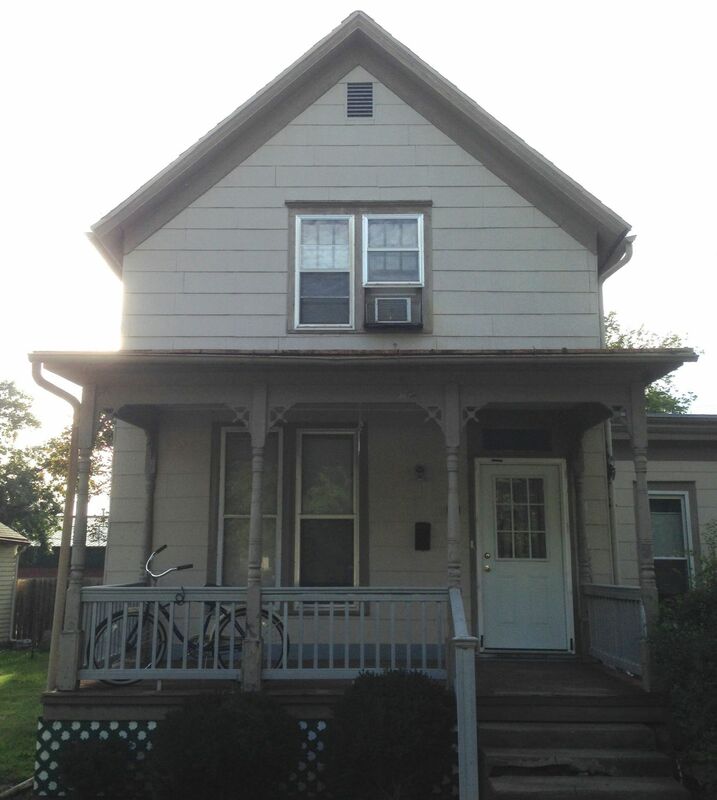 If you, for example, are missing your original porch, copying a neighbor’s original porch may not be a bad idea, provided their house is similar to yours. 902 Congress. 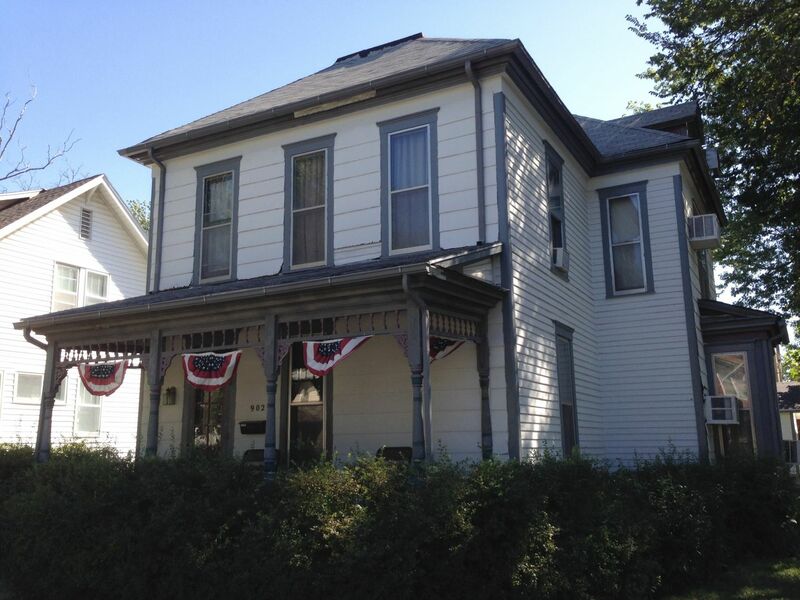 This house dates from the 1870s or 1880s. It likely had iron cresting on the flat part of the roof. The front siding looks 1950s. But the porch seems original (or a good later copy). 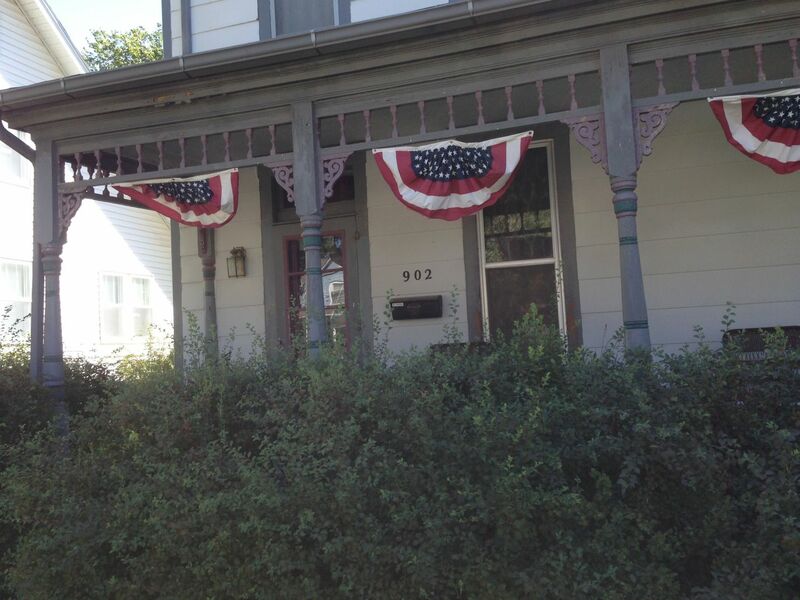 The patriotic porch of 902 Congress. 913 Congress. Lurking under this heavily renovated facade is a cool old house. 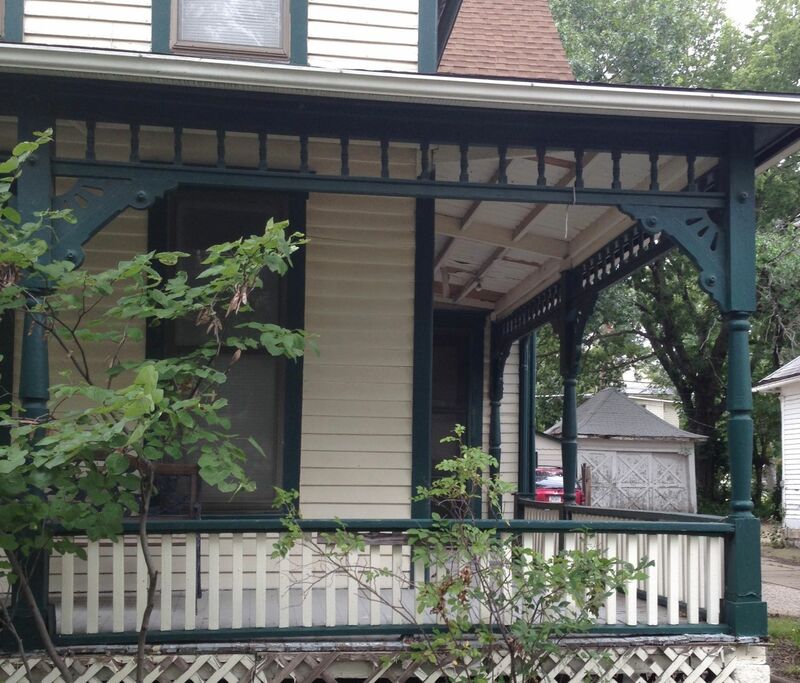 What is particularly astounding is that through all the many updates the original porch has managed to hang on. 913 Congress. 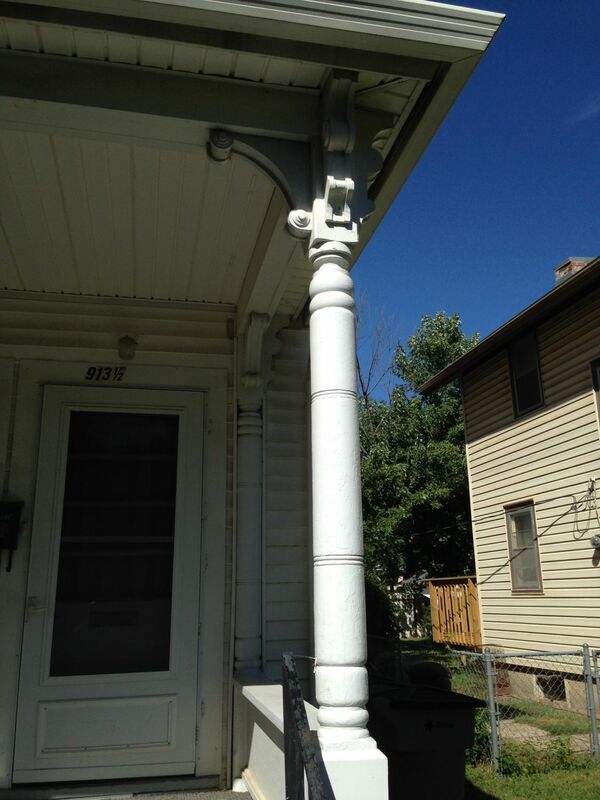 The reason why new “old style” porches from Home Depot never look right is a matter of scale. Home Depot porch components are much thinner, more spindly than the beefy, gorgeous parts as seen here. 913 Congress. The balustrade is later but most of the porch bits seem original. 918 Market Street. Save the porch railings and lattice, 918 appears to be a remarkable, and very attractive, survivor. 638 Lincoln. 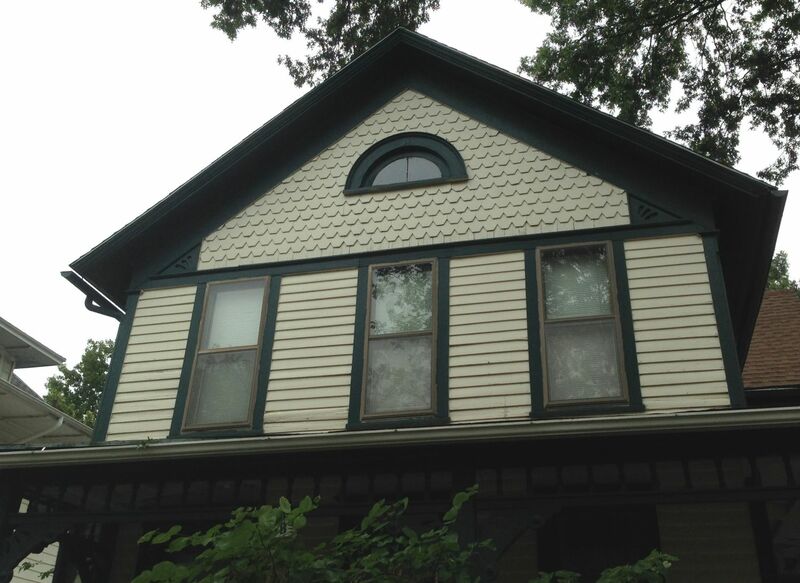 The house has been covered in vinyl siding. 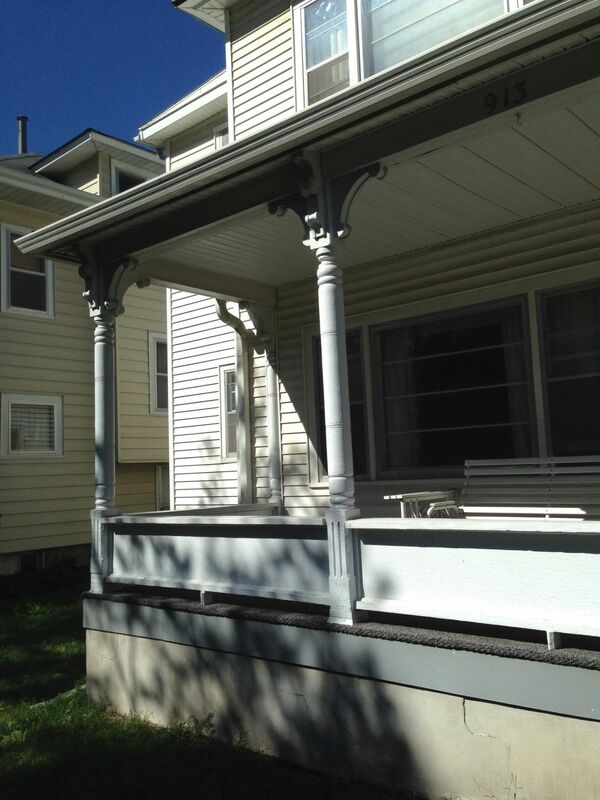 The porch balustrade is not original. But the columns and upper detailing seem original. 1017 Mechanic. 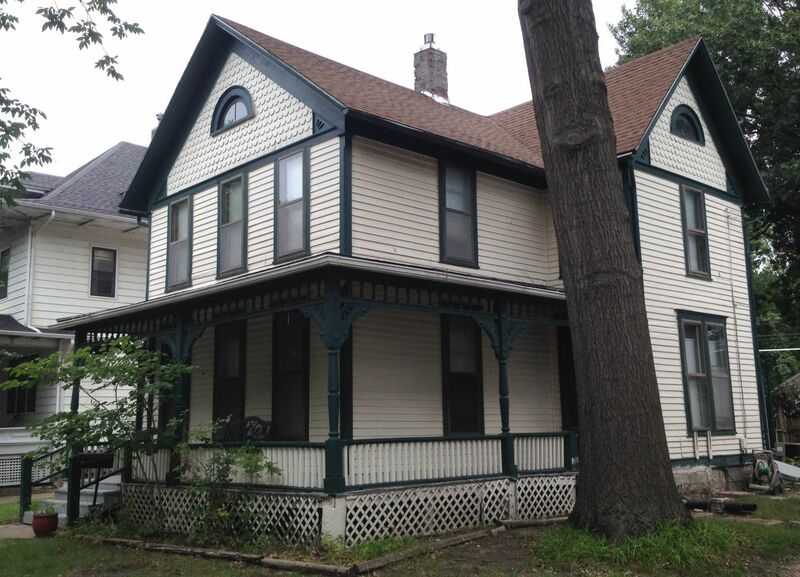 The siding and porch railings are of course later, but the rest of the porch seems original. The house would be a mighty charmer if restored. 1017 Mechanic. 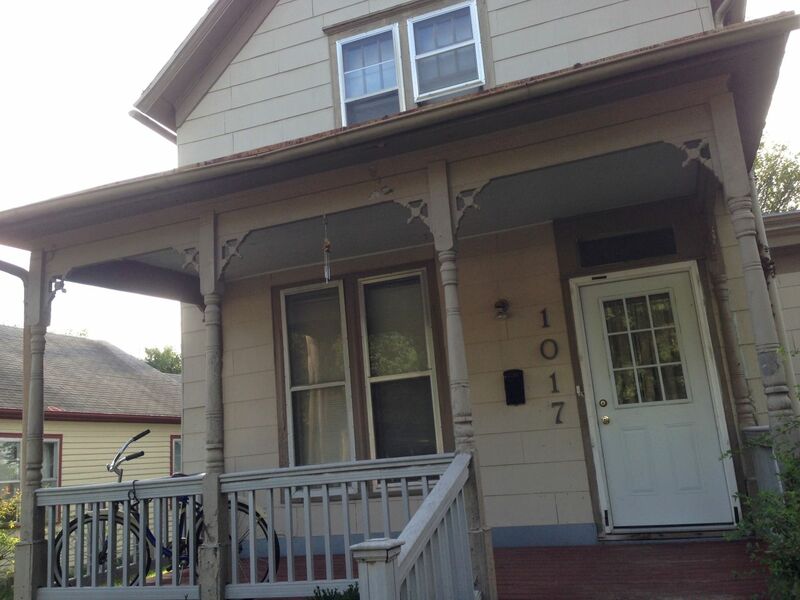 What is so appealing about the porch is its simplicity, yet is still is visually compelling. Nice. 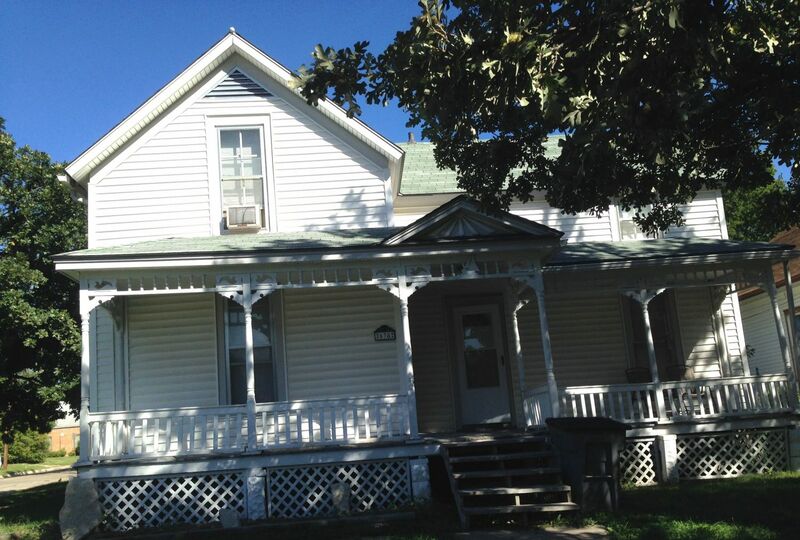 UPDATE: The house was demolished by the city of Emporia in May, 2015. Thank you so much for sharing your love and journey of these old houses. I too return home to Morgan City, Louisiana, and walk about and take oodles of picture of old houses. I’m astonished so many do not appreciate old architecture. Sad to see many go to waste. Thank you again for this delightful journey. I feel we are kindred spirits. Ugh. Do you knw why 1017 Market demolished by the city? It looks like it was in good shape. I get so sad when I think of all the history that is lost to unnecessary demolition. When I was in college at ESU in the early 1990s, the blocks just to the east were lined wit old two story homes, many of which were converted to apartments and not kept up. I looked at renting an apartment in one of these converted homes and left almost in tears. It was NASTY. It has not been maintained, or even properly cleaned. The rent was outrageous, probably due to the proximity to the university. Now that house and its neighbors are all gone. A new residence hall will soon stand on the same spot. I had friends who lived in apartments in converted homes a several blocks away that were care for properly, and I loved visiting! Even in a converted historic property, there is so much character and… energy, perhaps is the word. I would love to see these older homes saved in whatever way possible. Restoration is preferred, but even a conversion is better than a demolition. When ESU was considering demolishing our oldest residence hall, Abigail Morse Hall, a few years ago, I was devastated! If you have not had an opportunity, you should run by the campus and check it out. Fortunately, plans have changed and the oldest part is being renovated and remodeled into dorm rooms that will be desirable to today’s students. The later additions will eventually be torn down. I am still sad about that. Why, in America, do we tear down our “old” buildings and build new ones that are not as well built as the old one and will soon be old and torn down? Ugh. It is such a waste! Europe has usable building hundreds, some even thousands, of years old. Here, 50 years old is considered old. 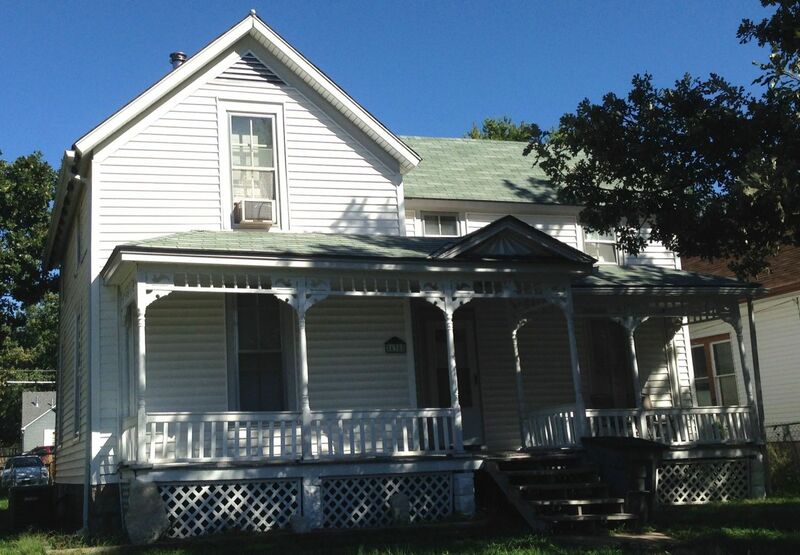 My house was built in 1918, and I absolutely love it. I wish the kitchen had more room, but other than that,it is great! I love opening the old glass “screen” door and the heavy wooden door with the old glass window every day when I come home. My house brings me joy. I often wonder what it looked like originally. I know the bathroom is an addition, and there is part of an old chimney in the kitchen. It has had a Warm Morning gas heater since at least the 1960’s, but I wonder what the orginal stove looked like. I don’t love in a famous or fancy house, so I doubt there are any photos. I sure am enjoying reading about your experiences and the joy that giving life back to these historic homes brings you joy. Thank you for being so willing to share your journey!